B.C.-based coach Richard Wooles (former national coach) is auctioning off some of his signed jerseys to raise funds to support the young riders he is helping. He offers annual coaching scholarships for up to eight Youth and Junior riders each year through Peak & Valley Coaching. 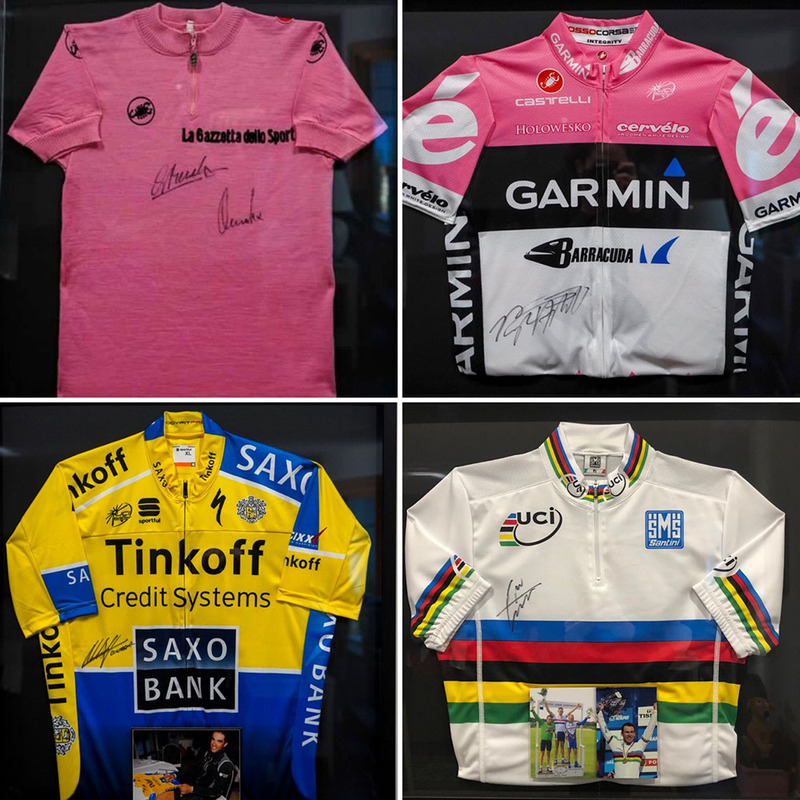 There is a Giro d'Italia Maglia Rosa jersey signed by Eddy and Axel Merckx, a Rainbow Jersey signed by Mark Cavendish, a Tinkoff team jersey signed by Alberto Contador, and a Garmin team jersey signed by Ryder Hesjedal.